From the earliest days of Java-based mobile phones to today’s more powerful smartphones, mobile games have been the most popular apps available on the mobile Web. Smartphone mobile games at mPlayit aren’t an exception. Free smartphone mobile games are available for Android, iPhone, BlackBerry and feature phones from GetJar and other online app stores. The problem? How do mobile phone users find and choose the best and latest mobile games on the mobile Internet? Mplayit is the leading global provider for online playable discovery and social merchandising of mobile games and applications. The company uses social media sites, such as Facebook and Twitter, as well as other mobile content providers, to help consumers find the top mobile games. In its latest survey, mPlayit found that 47% of the most popular mobile apps for the iPhone are games, 20% for Android phones and 30% for Blackberry owners. This dispels the belief that Blackberry owners only read email and track their schedules and business expenses. Here’s a chart showing the top three mobile games for iPhone, Android and BlackBerry phones. 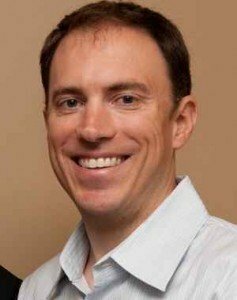 Craig Dalton, mPlayit’s Vice President of Business Development, has 16 years experience in sales and marketing management. He also has extensive experience building profitable business strategies in the mobile industry. Responsible for establishing strategic relationships with mobile operators, social media and Web 2.0 companies, Craig helps develop and increase revenue streams using the company’s online trial and merchandising solutions. Prior to Mplayit, Dalton managed business development for MMS pioneer Hook Mobile where he developed initiatives with wireless operators and social media platforms. Craig Dalton has also managed business development for global mobile entertainment publisher I-Play. While with Proteus, an interactive television and mobile pioneer, Craig completed the first TV-to-SMS campaign in the U.S. for Super Bowl 36. Craig earned an MBA from the Graduate School of Management at the University of California, Irvine and a BSBA in Business Administration from The American University. In a conversion with Brian Prows, Craig discusses the growth of mobile games from the earliest Java-based to today’s sophisticated games that only operate on complex smartphones. 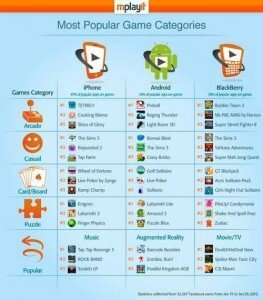 Popularity differences among smartphone mobile games available for iPhone, BlackBerry and Android phone users. Compare to mobile game popularity in China. The “might” of bigger publishers, such as Namco, to drive sales of CSI Miami, Spider Man, Ms. PAC-Man and other mobile games. Listen as Craig paints the landscape of the mobile game industry today and in the future.